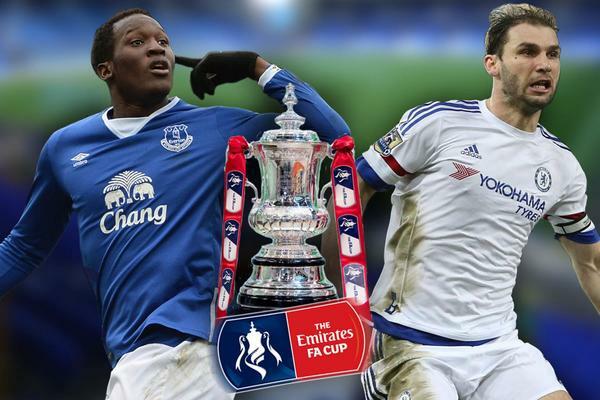 Welcome to Standard Sport's live coverage of Chelsea's crunch FA Cup clash with Everton! 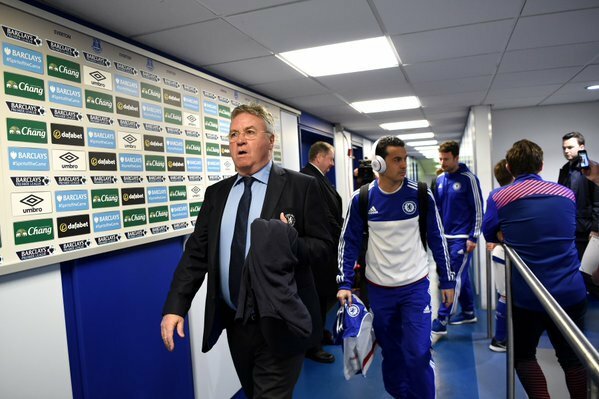 The big news from Chelsea fans' point of view is that Eden Hazard is NOT in the squad for today's game. Yesterday, Hiddink confirmed claims from Hazard's father, Thierry, that the Chelsea forward has been playing recently despite being injured - which explains his substitution in the loss to PSG on Wednesday. The Blues boss confirmed the 25-year-old has been struggling with a hip injury, but would be "OK and available" for today's trip to face Everton. However, he isn't in the starting XI and also not on the bench, which either means he's injured or has been left out for another reason. "He's desperate to participate in the team performance." What his absence from the team means, then, is that Pedro takes up the spot on the left flank while Willian plays on the right, Cesc Fabregas starts just behind Diego Costa while Hiddink has gone on the defensive by having both John Obi Mikel and Nemanja Matic in front of the defence. John Terry is on the bench following his recovery from injury while Kenedy takes the left-back spot. While Hazard's absence won't be felt too much - certainly if we go on his performances in recent weeks - one really positive piece of news for Chelsea is that Costa starts today. The striker suffered a minor tendon injury last week, which kept him sidelined against Stoke, before he played 60 minutes against PSG but was forced off with injury. He's managed to recover in time and, knowing Costa, he will certainly have done everything he could to make this game considering it is Chelsea's last chance to secure European football for next season. Chelsea's elimination from the Champions League on Wednesday means the only real way they can play in a European competition next season will be if they win the FA Cup this term. 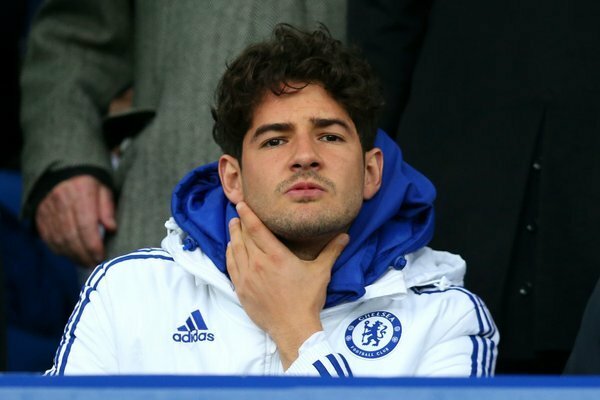 Another thing we should point out is that Alexandre Pato - who still hasn't made an appearance for Chelsea since signing on loan this winter - is NOT in the squad today. That rules out us seeing him show off his skills today, then. It's more likely he'll get game time from next week onwards in the league as today's match against Everton is just too important to risk playing a new striker in place of Costa, who has 11 goals in his last 15 games. 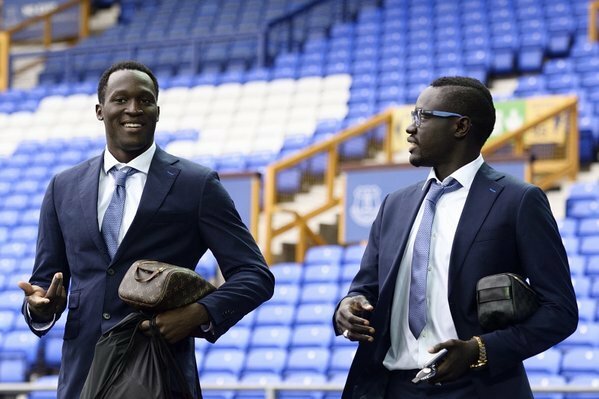 The Everton boys looking pretty sharp as they arrived at Goodison Park earlier! 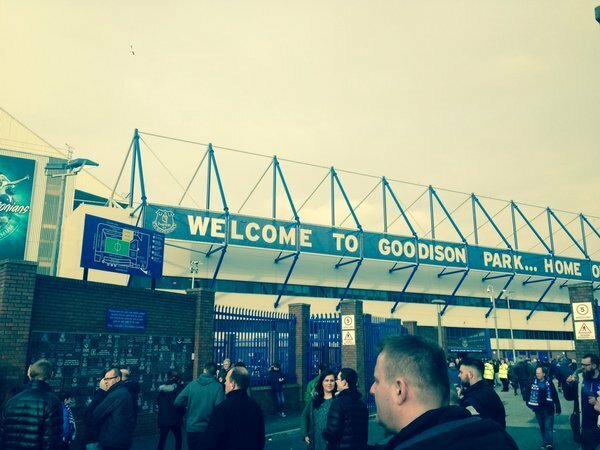 Get your match predictions into us below! Chelsea and Everton have played each other nine times previously in this competition - with today's game being the 10th meeting between the pair. considering the visitors' current woes. Now while all that may be true, Chelsea fans will still fondly remember their 2009 FA Cup triumph over the Toffees, in which Chelsea beat Everton in the final to hand Hiddink a trophy before he left the club. Louis Saha scored for Everton in that game after just 25 seconds before Drogba equalised and Lampard sealed the win. Chelsea will be hoping to recreate such heroics today although Everton will be confident after drawing 3-3 with the Blues at the Bridge in December and thumping the club 3-1 at home in the league earlier this season. Not long to go now! Remember to get your match predictions into us by voting in the poll below! The teams are out on the pitch! The travelling Chelsea fans are singing Costa's name - they'll be hoping he can score another goal here today. So with 20 minutes gone, both sides are resulting to hard challenges to try and win the ball in the middle of the park. 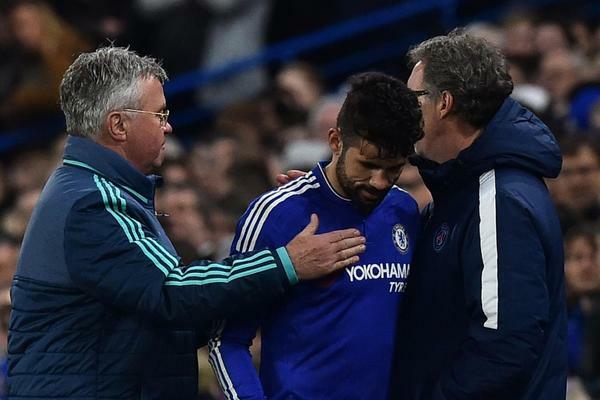 Costa, in particular, has gotten the worse of those challenges. The striker is appealing for a penalty after going down in the area following contact with Jagielka. There didn't look to be much in that, though. 23 MINS: Kenedy has once again fouled Lennon, tripping the Everton winger up as he surged forwards. Again, Michael Oliver talks to the Brazilian but isn't giving a yellow card. One more foul like that and surely he has to go into the book? 26 MINS: Everton get a free kick after Ivanovic awkwardly clears the ball out. Baines takes it but Matic heads clear. 29 MINS: The Chelsea fans are now booing as Kenedy goes down after seemingly being blocked off by Jagielka. Nothing is given by Oliver, though, as the referee remains pretty hesitant to pull out the cards. 32 MINS: Baines takes a little knock after clattering with Azpilicueta as the pair went to head the ball at the same time. He's OK and back up now. 34 MINS: Fabregas sends a lovely through-ball into the path of Pedro, but his touch lets him down and the ball goes out of play - although Robles was on hand to deal with the danger if he needed to. 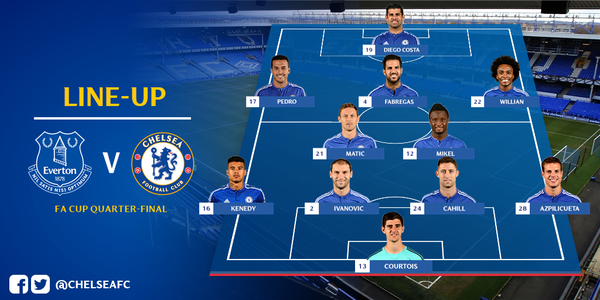 Cahill and Ivanovic have done well, it has to be said, to contain Lukaku so far. There was one half chance for the striker earlier but not much else since. Chelsea, as the below says, are passing the ball around and building up some nice attacks but they are finding it hard to breach the Everton defence. 43 MINS: Willian takes the set piece and forces Robles into a stretching save. The ball was going just out but that was a fine stop. We'll be back in 15 minutes for the second half where we are predicting goals - if the 3-3 draw in January is an indicator!